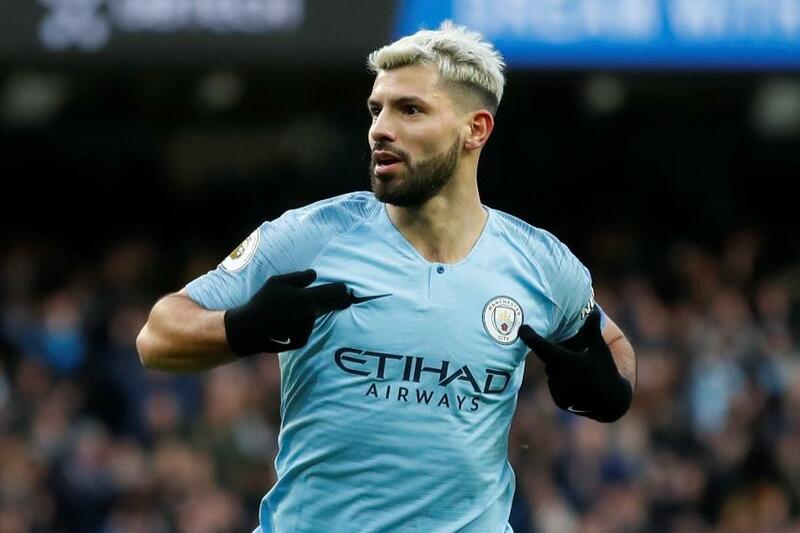 A second hat-trick in a week from Sergio Aguero (£11.5m) has forced Fantasy Premier League managers to reconsider their plans for the run-in. The Manchester City forward struck three goals in their 6-0 home demolition of Chelsea on Sunday afternoon. He also fired a treble against Arsenal at the Etihad Stadium the previous weekend, returning 17 points for his 31.9 per cent owners on both occasions. At 149 points, Aguero is only one behind Pierre-Emerick Aubameyang (£11.1m) as the top-scoring forward in FPL. He is the most-bought player in the Gameweek, already earning over 136,000 transfers in. But City are one of four teams without a fixture in Gameweek 27, when Pep Guardiola’s side will face Chelsea in the EFL Cup final on Sunday, 24 February. Their remaining run of matches looks set to raise the appeal of their Fantasy assets, though. Just two of City's final 11 matches score more than three in the Fixture Difficulty Rankings (FDR). Aguero’s prolific form makes him a standout contender for FPL front lines, while Raheem Sterling (£11.3m) appears Guardiola's favoured pick in midfield. Owned by just 10.9 per cent, Sterling struck twice against Chelsea to record 18 points, his third double-digit haul in five appearances. On the other hand, Leroy Sane (£9.5m) was an unused substitute for the second time in three matches. The German has suffered a big exodus after tallying just three points in their last four matches. He is the second-most sold player for Gameweek 27, being moved on by 100,000+ managers.